everydaytaichi helps every day health benefits in both body and mind. When you "play tai chi" you gain mental health benefits, such as, release of stress. The manner in which you learn tai chi becomes a natural and logically path in which you do other daily activities. You are not rushed and frantic to complete a task, neither are you overwhelmed. Instead, you take one task at a time, complete it well adn move on in a slow, methodic manner which allows for clearing your mind and feeling good about completing your goal, step by step. 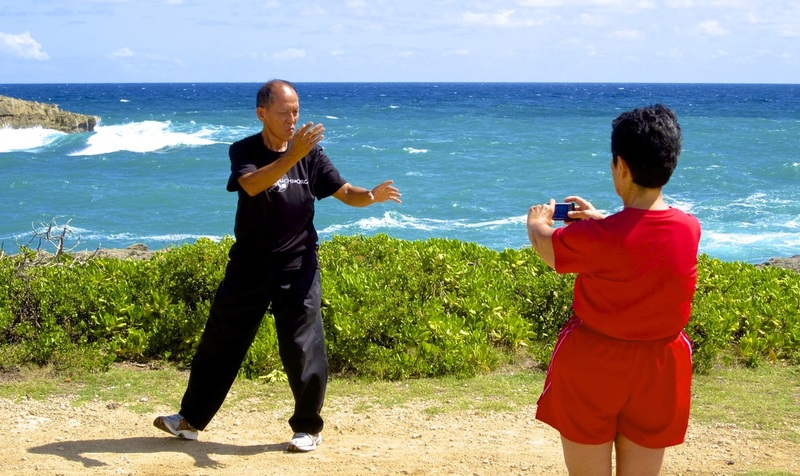 everydaytaichi also builds mental stimulation. Tai chi helps you to keep your mind active by learning how to use your mind to focus on your movements formation as well as the sequencing of the different movements. everydaytaichi can provide a social network and forming friendships based on a common activity. everydaytaichi builds strength in our core muscles and gives us more stamina, endurance and balance. The slow movements in a constant squat position help build leg strength. The shifting of body weight teaches us to move safely especially when we are in good tai chi posture. everydaytaichi helps us to have a positive outlook towards people and gives us an appreciation of nature. Click here for everydaytaichi students' insights.